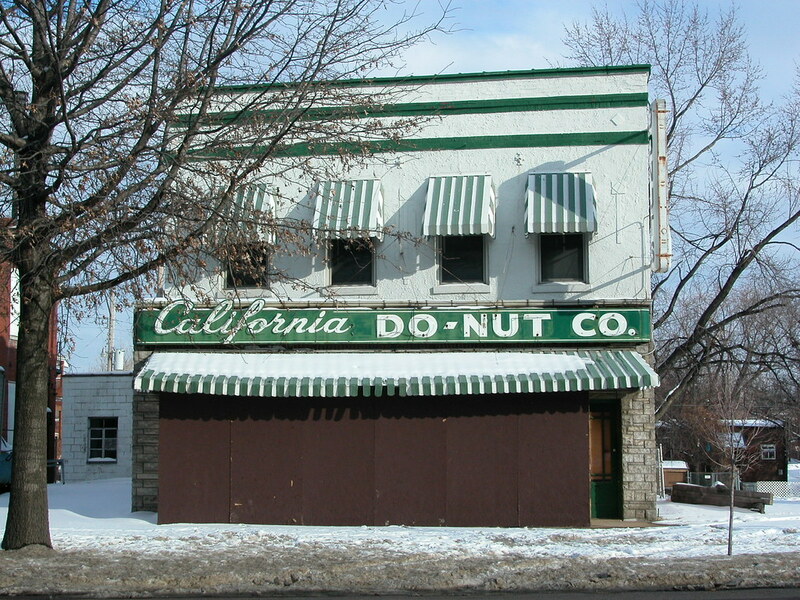 Yes, the much-mourned California Do-Nut Co. at 2924 S. Jefferson in Benton Park sports a storefront addition. The 1909 Sanborn fire insurance map shows the two-story building as a black smith shop, and building permits suggest that the addition dates to 1920. Here the addition seems to become part of a larger, mid-twentieth-century remodel. The parent building received a coat of stucco, the addition is clad in a Permastone-type material and the enameled neon sign board has an unmistakable modern swagger. 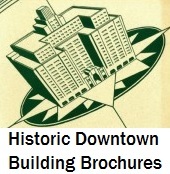 The white and green color scheme is also sporty and simple, the hallmark of good mid-century design. If the donut stands are doing well on Hampton and Watson road, why not Jefferson? Obviously, a little remodeling of that old store is needed, but the end result is an urban version of the roadside snack stand. Alas, a fabled reopening only led to plywood being hung on the storefront. This entry was posted in Benton Park, Mid-Century Modern, Neon, Signs, South St. Louis, Storefront Addition. Bookmark the permalink. Considerable work was in full swing to the 1st floor storefront when an errant automobile accident sent a sedan through the lobby. The board up is there only to cover the donut hole. The owners will be reglazing the windows, as well as the deep fried dough in due time.